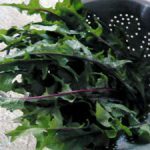 Dandelion greens are one of the lesser known options for leafy green vegetables when it comes to creating green smoothies. 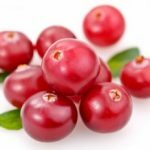 However, they offer a whole host of nutritional benefits. 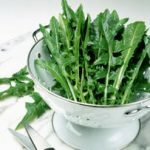 For example, dandelion greens, when used in green smoothies, provide an excellent source of fiber, potassium, iron, calcium, magnesium, phosphorus and the B vitamins. 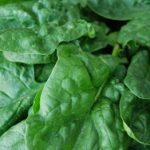 If you would like to try green smoothies with dandelion greens for yourself, here is a delicious recipe for you to start with! Each of these ingredients should be added to your blender one at a time and blended together until smooth. Because the bananas will make the consistency of your smoothie quite thick, the water should be used sparingly until the desired consistency has been reached. 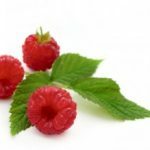 This single recipe makes approximately 4 servings of smoothie, but the recipe can easily be doubled if needed. 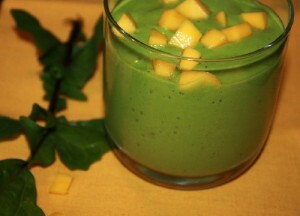 Your body needs energy to get through the day, and green smoothies are the perfect item to provide this. 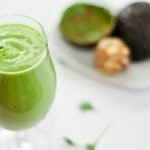 Try out green smoothies for yourself and see just what they have to offer! It is a guarantee that you will be pleasantly surprised.